By the end of last year, the benchmark price had grown almost 24% for a single-family home in the Victoria area. According to Victoria’s Real Estate Board, this spike in sales price is due, in part, to dwindling listings. Listings were down 41%, when compared to 2015, even as the number of sales last year broke new records for this west coast city. As a result, buyers looking for a home in the Greater Victoria Area are beginning to look further afield. “There was a time when a greater than 10- to 15-minute commute would knock a neighbourhood off a list,” explains Tony Joe, realtor with Re/Max. Now buyers are driving up to 30 minutes one-way to get a house that meets their needs. Still, not everyone is jumping into the market. HouseHuntVictoria.ca reports that the number of sales were down by 17% by the end of March, this year, but housing prices haven’t followed suit. Concern that prices will follow sales lower has some buyers trying to find value in neighbourhood pockets that still have price momentum. That would help buyers offset a price correction, should it occur. You can sum up Sidney in one sentence, says Tony Joe, a realtor with Re/Max: “It’s a lovely village.” Perhaps that’s why it tops our list in 2017 for best deals in the Greater Victoria area. One reason this community is getting top marks is it offers everything a little village should offer—walking distance to all amenities, scenic ocean front—and it’s only a 25-minute drive to downtown Victoria. “In the past that distance kept this off buyer radars,” explains Joe. But with prices escalating in recent years, a little commuting has become acceptable. Like the neighbouring South-East community, Sidney North-East is a decent 30-minute drive to downtown Victoria—a distance no longer considered extreme—plus it boasts a village-like feel. “Schools are good in this community, which attracts the demand of families,” says Tony Joe, a realtor with Re/Max Camosun. This is a high demand area with families as the excellent schools are the biggest draw to this community. “There’s a little village but there’s not much to it, as well as parks,” says Re/Max realtor Tony Joe. Still, for growing families that want an easy commute to downtown Victoria, Estevan is a good option. If you dream of living on an acreage then this is where you should start to look for your next home. Lots in this community are wide and big, often up to a half or full acre. Better still, many homes have an ocean view. Many local realtors are noticing that many displaced Vancouverites often end up in this neighbourhood because even though it’s pricey for Victoria, it still offers a detached house with a view with money left over for a reno. Tap or click to see where to find the top five Victoria neighbourhoods and this year’s Realtor pick. 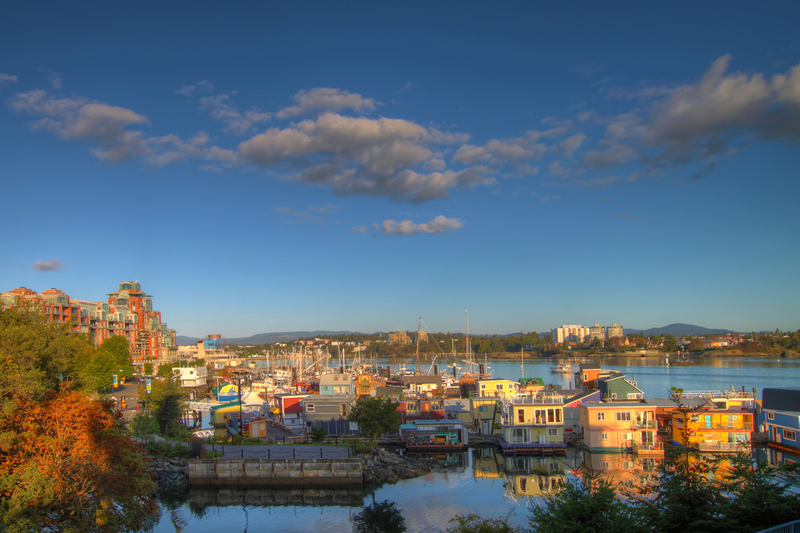 Click here to see the full ranking of Victoria neighbourhoods.